Space is making a comeback. Movies like The Martian, Interstellar, and Gravity have been big hits. Have you seen The Expanse? That's a pretty good TV show, better than the source material in my opinion. From Ice to Ashes tells a class struggle story and it succeeds in a lot of ways. Kale Drayton is a Ringer; a descendant of colonists who escaped Earth on the Saturnian moon Titan. Ringers have physically adapted to the environment of Titan, making them physically weaker and lankier than their Earth counterparts but more adapted to the cold of their new home. Earthers, however, had to evacuate their mother planet due to planet-wide disaster, and now the two are rubbing against each other on Titan. However, the Earthers brought back Earth's many diseases, and Kale's mother languishes in a quarantine zone. Desperate to provide for her on meager wages, Kale takes a gas hauling rotation, with a secondary mission to simply plug in hand terminal (think future smartphone) into a computer onboard the hauler. This simple act puts a long lived plot in motion that eventually changes the entire Sol balance of power. Let's be honest; From Ice to Ashes cribs a lot from the class conflict aspects of The Expanse books. Ringers are an oppressed people; the Earthers couldn't live without them, but they brought disease back to the ring that Ringers have no medications for. Ringers are the working class Belters, and Earthers are still Earthers. The Earthers in this novel are one-dimensional and there's not a single good one among them. The novel suffers for this because they're the primary antagonist and their every action can be spelled out from the start. But this isn't really a story about Earthers, it's a story about Ringers and the complex interactions between the Ringer characters is what makes it work. In the Ringers, Bruno crafts more complex characters as Drayton struggles to do anything to make his mother suffer less while contending with a love interest, other Ringers trying to make due, and a people who've been unjustly treated by the Earther guests they descended from. The story takes some time to get moving, but it's hard to put down once it does. 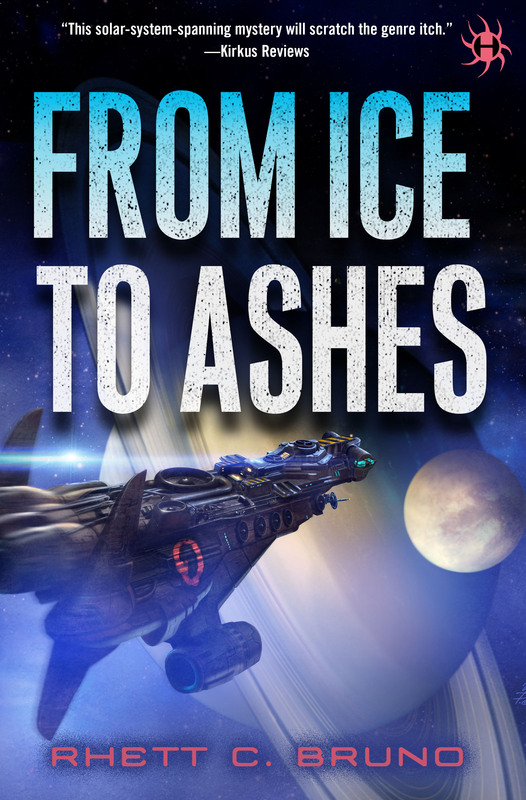 From Ice to Ashes is the second book in this universe, and I intend on going back to read the first. It's a solid class conflict tale told among the rings of Saturn. Though it could stand for a less cartoonish antagonist (or antagonists), but the Ringer characters Bruno develops over the course of the tale more than make up for it.